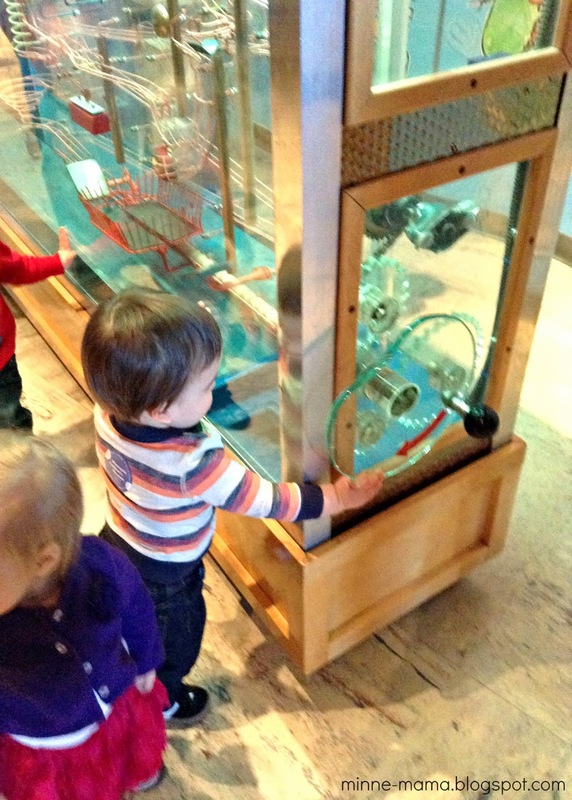 We spent a very full and fun morning at the Children's Museum with three of Skyler's little buddies from ECFE class. It was our first time going, and Skyler really enjoyed it! 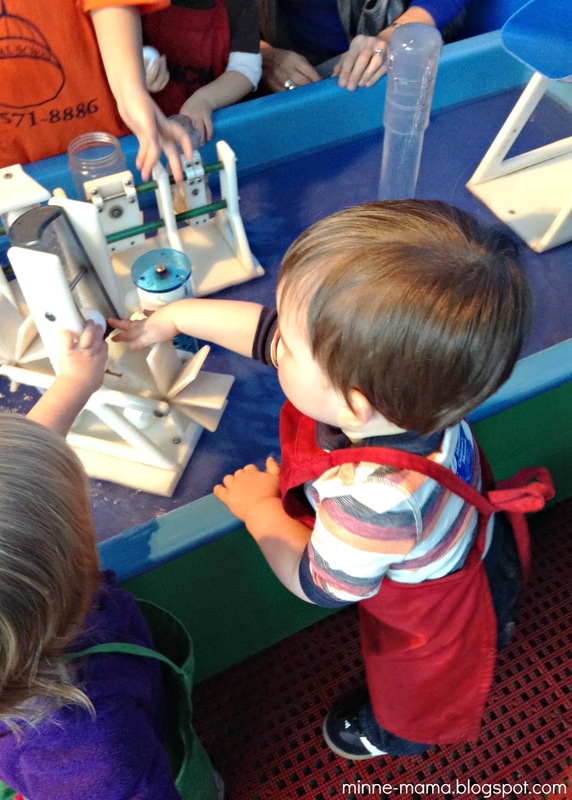 I think he was still a little young to participate in all of the activities there, but we found some great ways to spend our time. 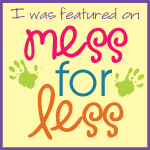 His favorite play areas were a huge ball ramp, some water tables, and there was a 'habitot' area for the little one's with ramps and slides. It was a great way to spend a chilly day, and I always enjoy seeing our ECFE group outside of class. 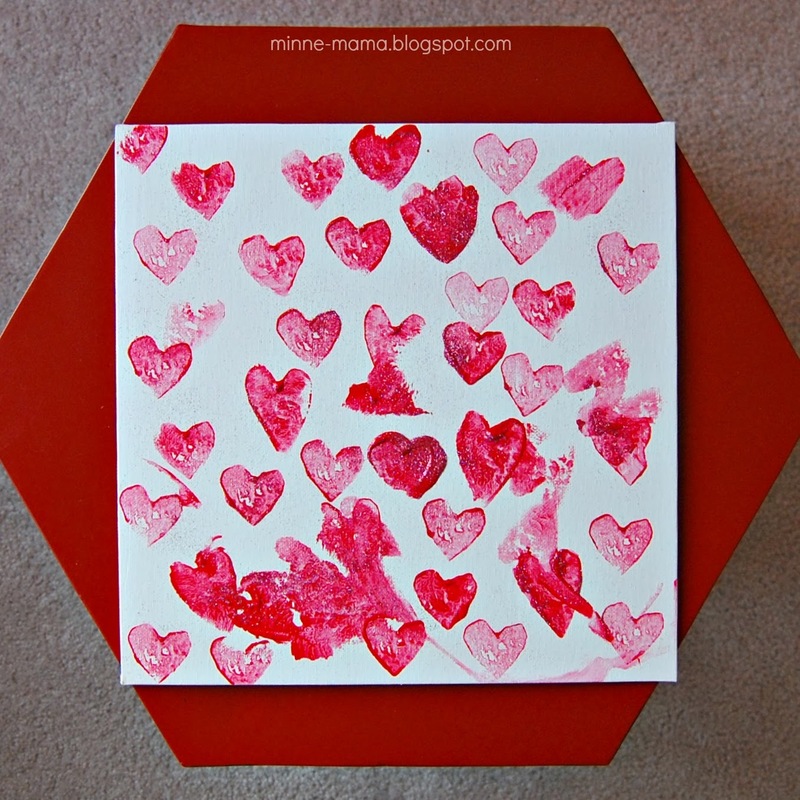 At home, we have been continuing with early Valentine's Day activities, with this fun craft turned decoration that I am so excited to look at for the next month! 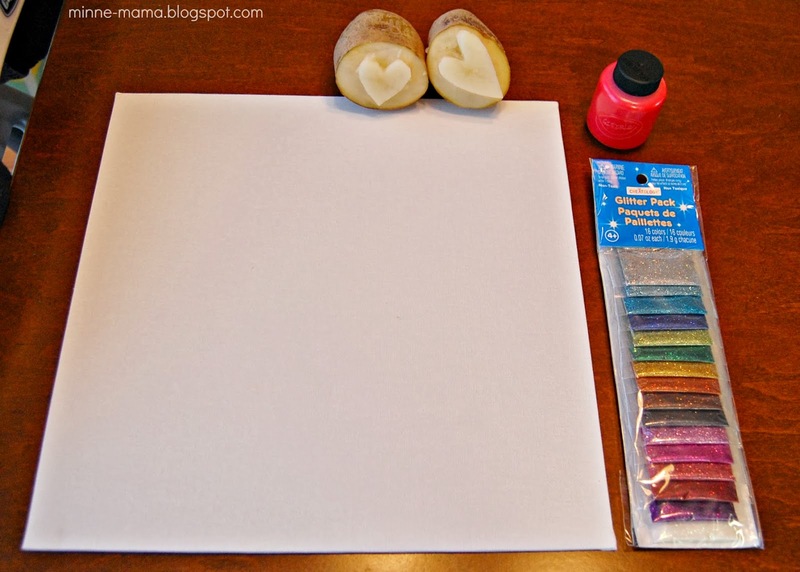 For this art activity, we used a thin canvas. 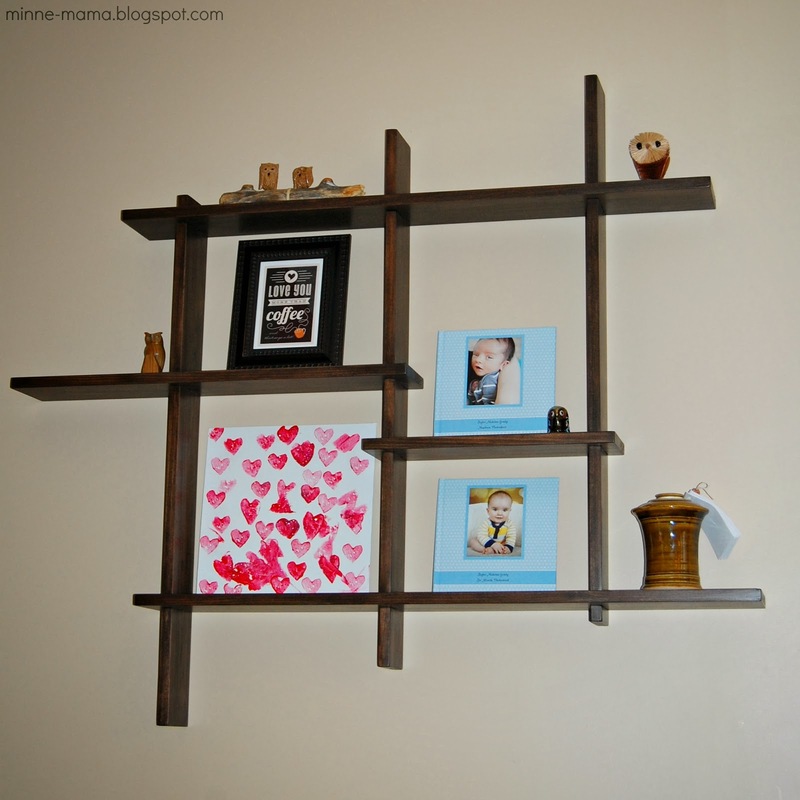 I love it because it was easy for him to decorate, it is sturdy but thin, and using the canvas makes it perfect for a decoration as it can lean on a shelf and we can easily store and save it for next year! 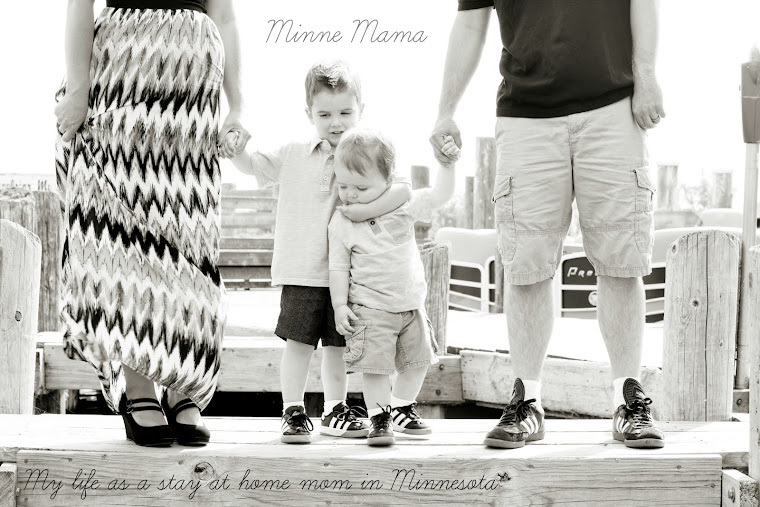 I use canvas with Skyler a lot, it is a great way to preserve children's artwork! This was our first time using potato stamps. The heart shape was a good one to start with because it was fairly easy to cut (of course I did that part, but let Skyler watch. He found it very interesting and kept saying "potato!"). 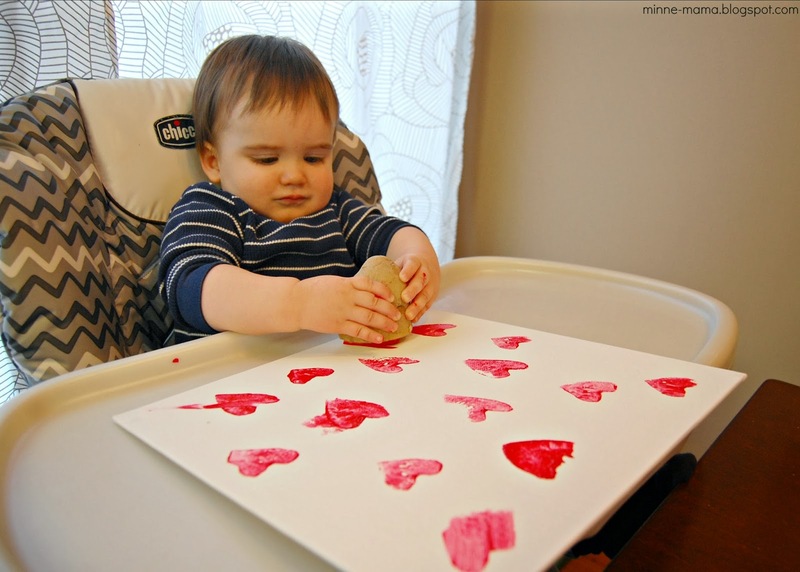 I am looking forward to making many more potato prints with Skyler. 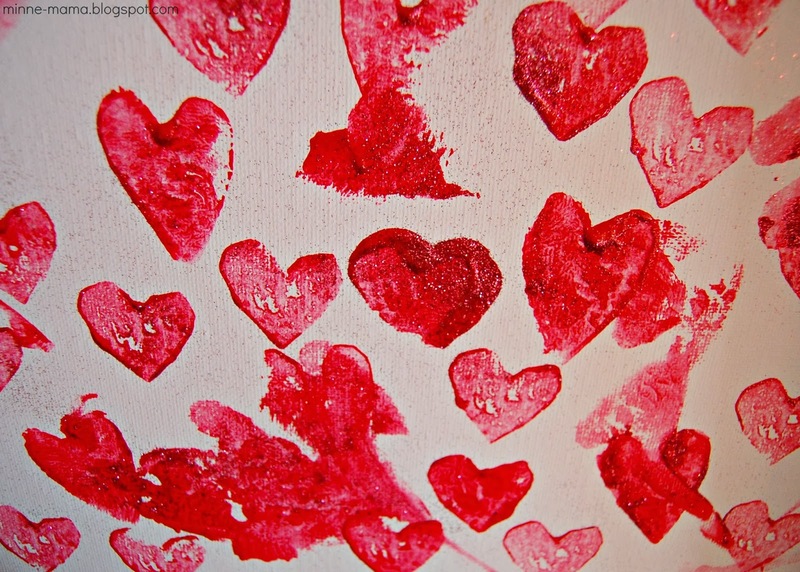 The next time I do potato stamps with Skyler, I will use a smaller one, like a red potato. He did well with the stamping, but did need some help since it was quite large and heavy for him to hold. 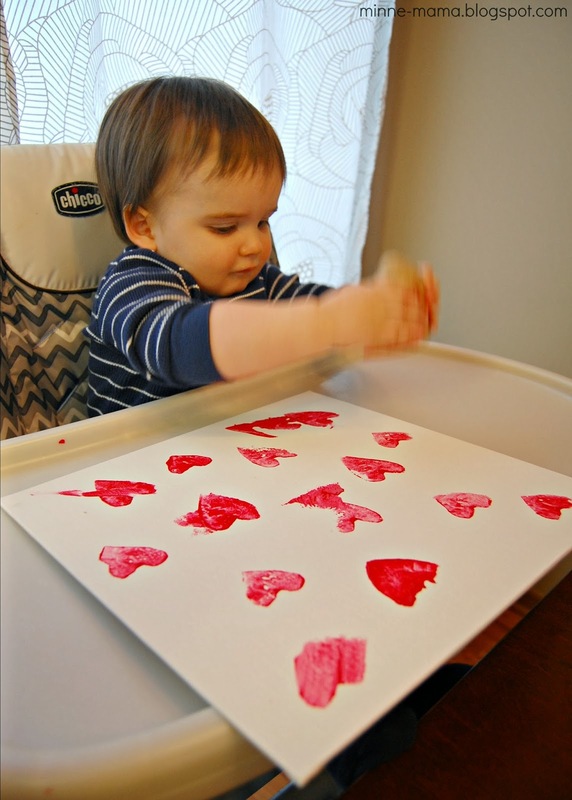 A lot of the time, I held the canvas up like an easel and it was easier for him to stamp it. 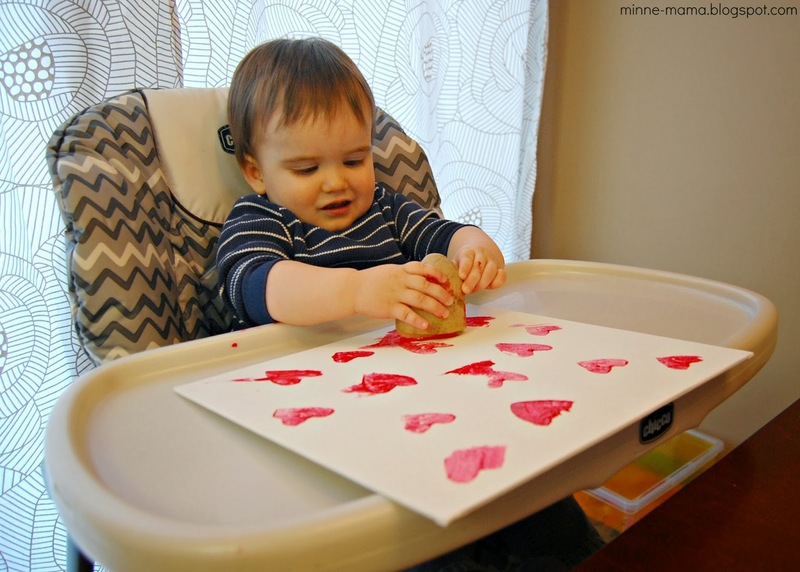 After Skyler finished stamping the canvas, we sprinkled pink glitter all over. It stuck well to the paint, but also got caught in the small crevices of the canvas. Skyler LOVED doing the glitter (another first for us!) I found a very fine glitter than gives the entire piece of art a beautiful sheen that just cannot be fully captured in a picture. 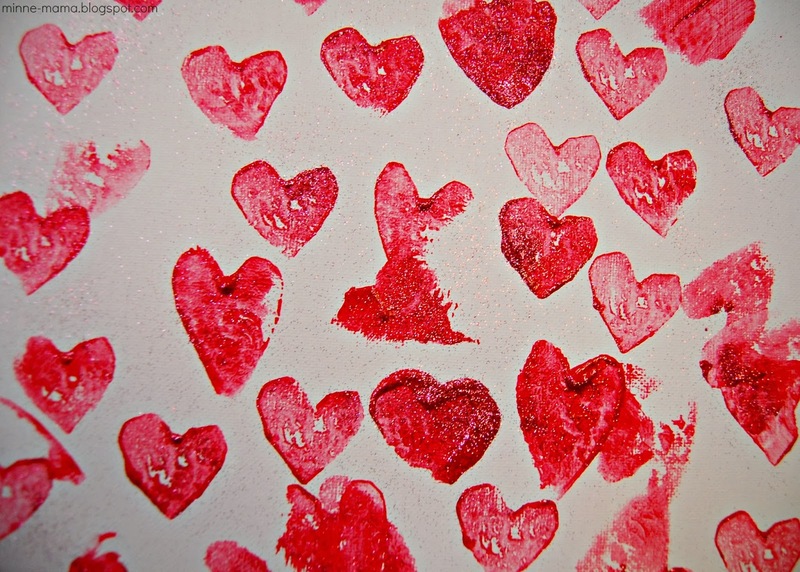 We used red paint to make the art, but depending on how much paint was on the stamp and the amount of pink glitter on the heart, there are varying shades of pinks and reds on the canvas, which I was not really expecting. I love the outcome! Skyler's canvas makes me smile every time I walk by it. It was such a simple activity, but he enjoyed making it so much! I have it leaning on a shelf that I received for Christmas. Up until now, it has held a random assortment of items, but my goal is to have it completely Valentine themed in the next few weeks!